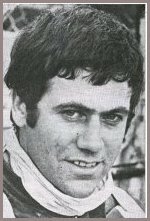 As a rider, Colin Pratt enjoyed his most successful time at Hackney where he spent several years including time as skipper of the Hawks. He also achieved England international status and made one World Final appearance in 1967. 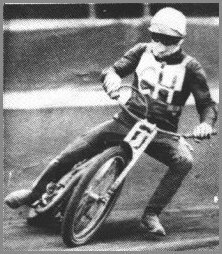 It was 1970 when he signed for Cradley, but he rode just 20 matches before being involved in the Lokeren disaster where five people were killed in a van crash on the way back from a meeting in Amsterdam. Colin endured a long stay in hospital with a broken neck, and he never rode again. He returned to the sport as co-promoter of Rye House, then team manager at Kings Lynn, before succeeding Peter Adams as Cradley promoter in 1984. His first job was to dismantle the awesome 1983 title winning team, but he then went on to enjoy 12 seasons in the role at Dudley Wood, capturing many cup victories along the way. Since leaving the Heathens at the end of 1995, Colin has been team manager at first London and then title-winning Bradford, before taking the role at Coventry. He has settled in at Brandon now, with the company of Greg Hancock and Billy Hamill still forming his top two. Colin resigned his position at Brandon in 2012 after 15 years with the Coventry team. 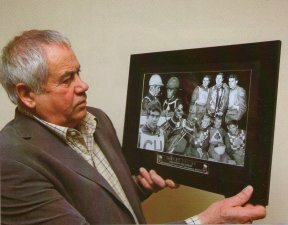 He was made Honorary President of the Dudley Heathens in 2013. Copyright: Steve Johnson & Cradley Heath Speedway Ltd, 2009.